Heavy snowfalls are common in the Baltimore area. They can leave several feet of snow on the ground after a major storm. When temperatures start to warm up and the snow starts to melt, this can cause excessive amounts of water that needs to drain somewhere. Unless you took time to get basement waterproofing done before winter, you could end up with water in your basement. If there are cracks in the basement foundation walls or other small openings or gaps, the water can drain into the basement. To help give you an idea of the amount of water created from melting snow, a good estimate is one foot of snow is the equivalent of one inch of water. So, if there are five feet of snow around your home, you could potentially end up with around five inches of water in your basement! Another way snow damages your basement and foundation walls is when temperatures cycle through melting and freezing cycles. During the day when it warms up above freezing, the snow starts to melt. The water starts to drain into the ground around the foundation of the home. Water that gets into cracks, gaps, and openings in the basement’s foundation walls will freeze once temperatures drop in the evening and overnight hours. Then, once it warms back up, the ice melts and turns back into water. However, as the water froze and turned into ice, it expanded. So, those small and minute cracks, gaps, and openings will now become much larger. As a result, more water can leak into the basement at a much faster rate. 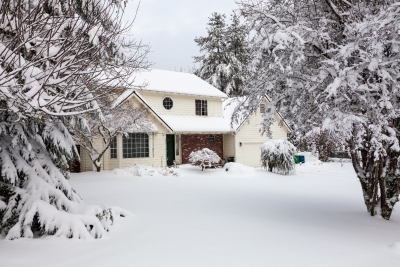 What Damage Can Snow Do to Your Basement? Weakens the Foundation: The foundation support walls around the basement can weaken from repeated freeze/thaw cycles. 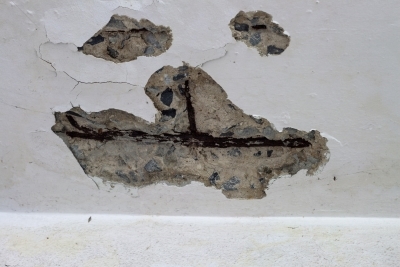 In addition, as water drains through existing cracks, gaps, and openings, it can cause erosion to the cement or cinder blocks. Damages Floors: Any water that gets into the basement can damage carpeting, hardwood, or laminate floors, and even the concrete slab in unfinished basements. After the water is removed and the basement dried out, hardwood and laminate flooring will warp and bend. The glues used with vinyl, linoleum, or tiled floors will lose their effectiveness, so the floor can start to bubble, tiles come out, and so on. Damages Walls: If you have a finished basement, the water can absorb into drywall or paneling and cause it to deteriorate. The drywall will crumble and break, while the paneling with start to rot and warp and bend once it is dried out. 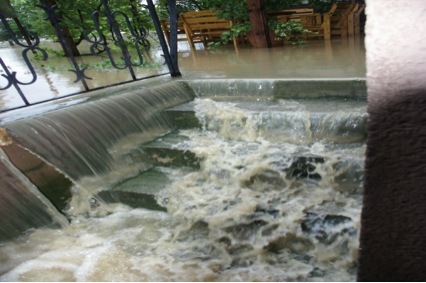 Damages Furniture: Any furniture your keep in your basement will be damaged from standing water. Wooden legs on furniture can become saturated in water and start to rot. Damages Appliances and Electronics: If your laundry room is in the basement, the water can damage your appliances and cause the interior parts and components to rust and corrode. If you have a TV, stereo system, game system, or other electronics, they will be ruined if they get wet. Damages Items Sitting on the Floor: If you use your basement for storage, any keepsakes, heirlooms, collectibles, seasonal items, or other such things will get soaked. Cardboard boxes absorb water and allow it to absorb into anything inside the box. While using plastic totes does keep the water out, if the water becomes too deep, water can still get inside. Can Cause Electrical Hazards: Water can get into electrical outlets and create fire and shocking hazards. If your breaker boxes are also in your basement, it could cause your home’s entire electrical system to fail. Promotes Mold and Mildew Growth: Excess moisture can cause mold and mildew to develop, which can cause health concerns. Cleanup Costs: You have to get the water out of the basement as soon as possible. 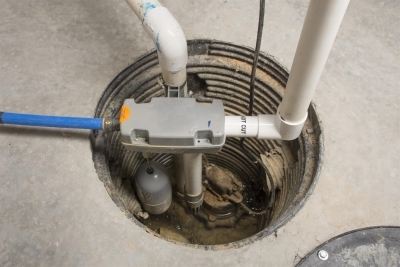 This could involve having a basement leak repair professional come in and set up a pump to pump the water outside. You will also need to run fans, dehumidifiers, and other drying equipment to eliminate all traces of the water. Cleanup efforts can be difficult and become ongoing if there is still more snow left to melt or another storm on the way. Repair Costs: Once your basement is fully dried out, you will have a variety of repairs to make. You have to tear out carpeting and most other types of flooring because water will be left underneath. Then there are repairs to drywall or paneling. In addition, any costs to repair or replace any items that were damaged, like electronics, appliances, or electrical systems, and wiring. Additionally, you will have basement waterproofing costs to prevent future problems. In some cases, your homeowner’s insurance may cover part or most of the cleanup and repair costs, minus your deductible. However, not all insurance policies cover flood damage and will require a separate clause to be insured. It is strongly recommended you review your policy with your insurance agent and verify you are protected from flood damage, as well as water damage from melting snow. The most obvious sign you have water damage from melting snow in the basement is standing water. Yet, in some cases, the damages may not be as apparent or noticeable right away. If you only have a few cracks, gaps, or openings where water is getting into the basement, the damages may not be as extreme. 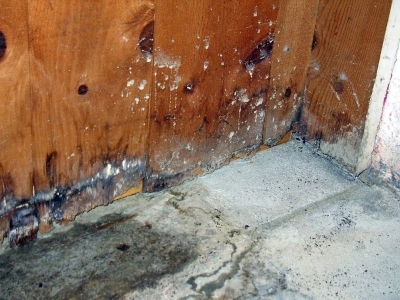 Condensation on the walls, ceiling, fixtures, and other items in the basement. Keep in mind, if you only notice condensation on hot or cold water lines, this does not always signify damage from melting snow. 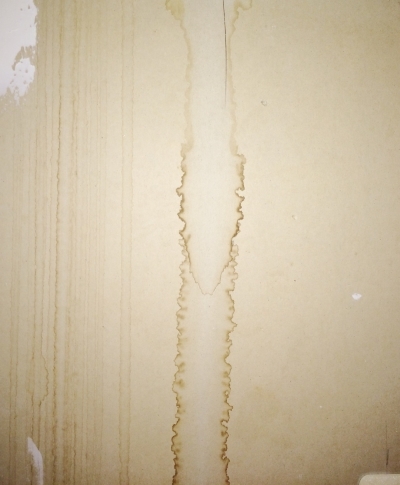 Water stains on the walls, floor, or ceiling. If you notice darker-colored dry spots in a few locations in the basement, this means there is a leak somewhere. Small amounts of water on the floor. If you notice a squishy section of carpeting or a small puddle of water on other types of flooring, yet no one has spilled anything, this could mean water is leaking in from outside. The sound of dripping water. Water can make its way through the tiniest of openings. If you hear dripping water in the basement, check around the windows, as it could be coming in there. If there is no water there, the water could be dripping inside the cement/cinder blocks of the basement’s foundation walls. If your basement has been damaged due to melting snow, your primary objective is to clean it up quickly and get rid of any standing water. The sooner the water is removed and the basement is fully dried out, the sooner cleanup and basement leak repair and waterproofing can begin. If you discover the problem in the middle of winter, you will want to take steps to prevent further damages until proper repairs can be made in the springtime. You may want to call in our professional basement waterproofing company for assistance and advice, as well as use the tips below. Remove snow from around the foundation and away from the home. You want to clear away snow at least three feet all the way around the home. Make sure there are several clear openings in the remaining snow for water to drain away from the home. 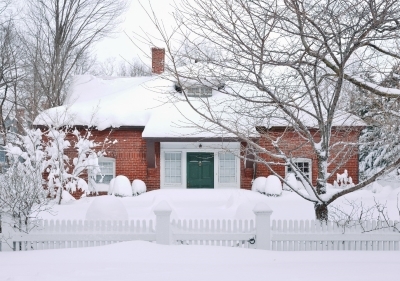 Remove any snow away from the home that has fallen off the roof. As snow starts to melt, snow will slide off your roof, too. Make sure to shovel this snow away from the home, as it can create a barrier and cause water to pool around the foundation. Remove snow from around downspouts so melting snow on the roof can drain away from the home. You want to remove any snow from around your downspouts and dig a path for water to drain away from the home. Place sandbags around the foundation. If winter is only partially over, and you have already had water damage in the basement, you will want to take steps to keep water out. Using sandbags can help provide added protection, but it does not guarantee the basement will stay completely dry. Keep gutters and downspouts clear of leaves, branches, and debris. Make sure your gutters and downspouts are cleaned and clear of anything that could cause a blockage. When blockages occur, water will overflow out of the gutters and run down near the foundation of the home. 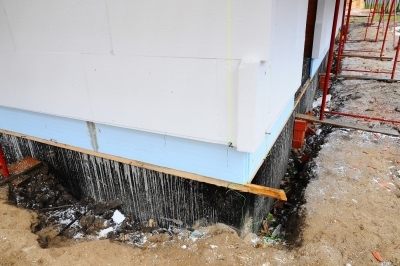 Get your basement and foundation walls waterproofed. Once it has warmed up outside, you will want to get the foundation and basement waterproofed. You will also want to make sure any gaps, cracks, or openings have been properly sealed. Increase the grade of landscaping around the home. After your basement has been waterproofed, you will want to make sure the grade of your lawn is higher around the home to create a natural runoff for water. Why Is Basement Waterproofing an Important Part of Snow Damage Prevention? When your basement has been properly waterproofed, you won’t have to worry about melting snow being a problem that could potentially flood your basement. In addition, your basement is protected year-round from excessive rainfalls that cause flooding in your yard or near your home. For basement leak repair and waterproofing services, or assistance with cleanup and water removal from your basement in the Baltimore area, please feel free to contact Budget Waterproofing, Inc. at (410) 609-1240 today!